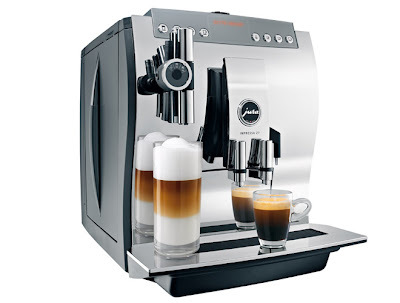 Home / cappuccino / coffee / expresso machine / lattes / Making coffee is fun! I have to say this item is pure luxury. My husband and I enjoy coffee. Through the years, we have purchased many coffee makers, but somehow they don't seem to last. We decided to upgrade and get something that hopefully will last and definitely make coffee making a pleasure. To top it off, save Money. No more Starbucks.....We love our new coffee station. It's easy to use and so much fun. I think the first day, we must have gotten the jitters, due to all of the coffee drinks we were trying. It saves energy, time and every cup of coffee is fresh and hot. 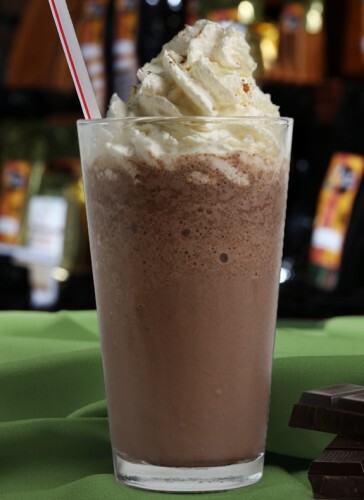 You can customize every single cup. You can make 2 cups at one time. See the container on the left. That holds your milk for Lattes and Macchiatos. Combine espresso or coffee and pumpkin pie mix and stir well. The nice thing about the pumpkin pie mix is it already has all the spices you need. If you only have canned pumpkin, use 2 tbsp canned pumpkin, 1/2 tsp cinnamon and 1/2 tsp nutmeg. 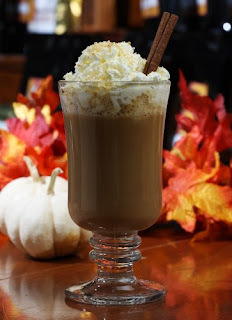 Top with warmed milk and enjoy this traditional holiday treat. This machine on the right side offers hot water, Ristretto, Expresso and a regular cup of coffee. On the left side, milk, Macchiato, Latte, & Cappuccino. 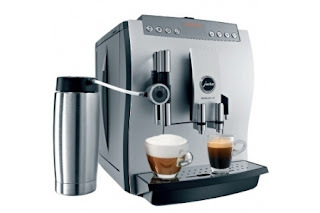 One touch button...rinses, tells you when it needs coffee beans, more water...empty grounds. It is sitting on our counter in our new dining room. We have a beverage center there, complete with an icemaker, subzero wine refrigerator with refrigerator drawers below. sink, nooks and even a dishwasher for all of the glasses. We are thoroughly enjoying our new gadget. 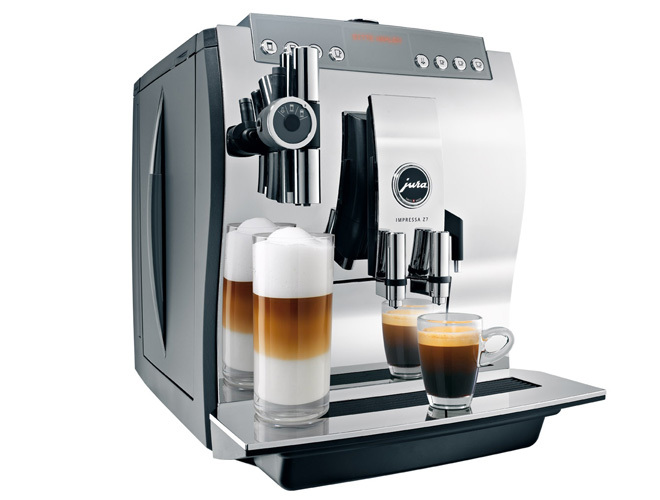 The premium one-touch coffee experience- press one of eight buttons for perfect crema coffee and expresso drinks from ristretto to cappuccino to Latte Macchiato without moving your cup. What's not to love? 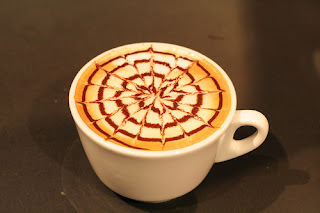 Here's some fun photos of Latte art. That is one magic machine! 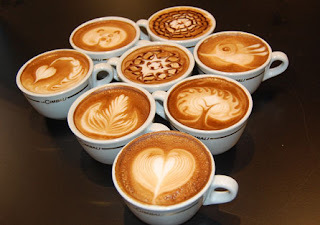 Yum, cappuccinos!! I'll have some chocolate sprinkles thank-you! !